I was inspired to make this after I found this free downloadable pattern from Annie Marie Horner on her website slash blog called Spinning Stars. The mix-match of coloured print fabrics she used in her version of the quilt drew me in, causing me to have this following light-bulb-moment – this would make the most perfect scrappy quilt!! 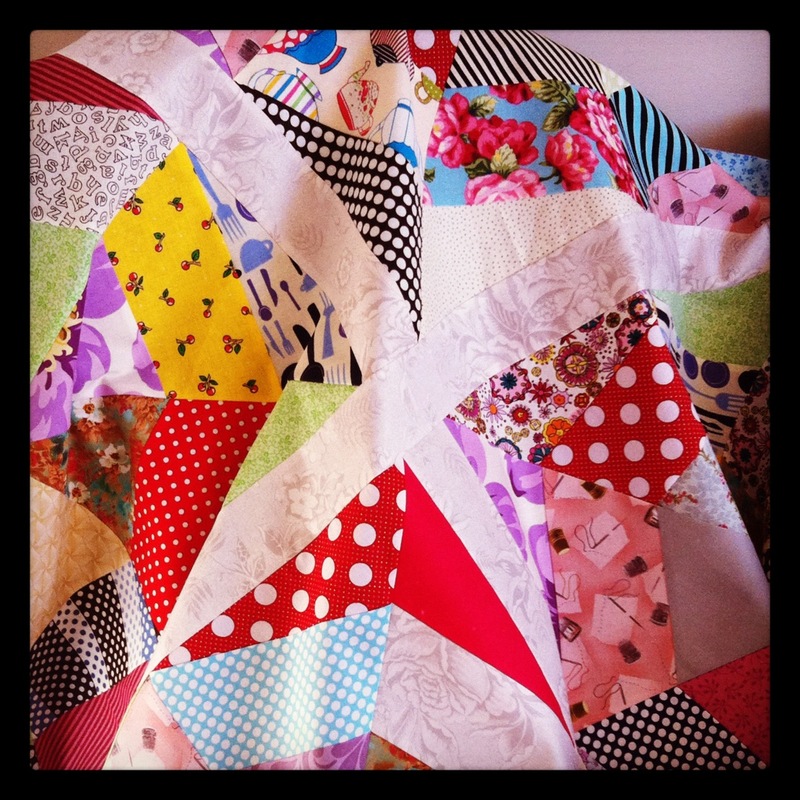 I have so many left over scrap fabrics that I knew I would have plenty to make six of these quilts! But, I did manage to control myself to make only one quilt top, with four Spinning Star blocks. the fabrics I used are (I think) truly truly scrumptious! This week, I hope to find time to venture into my local Spotlight store to buy some batting for this little newbie quilt as well as for my Jacob’s Ladder quilt, in which I still need to complete the pieced backing I have in mind for it! 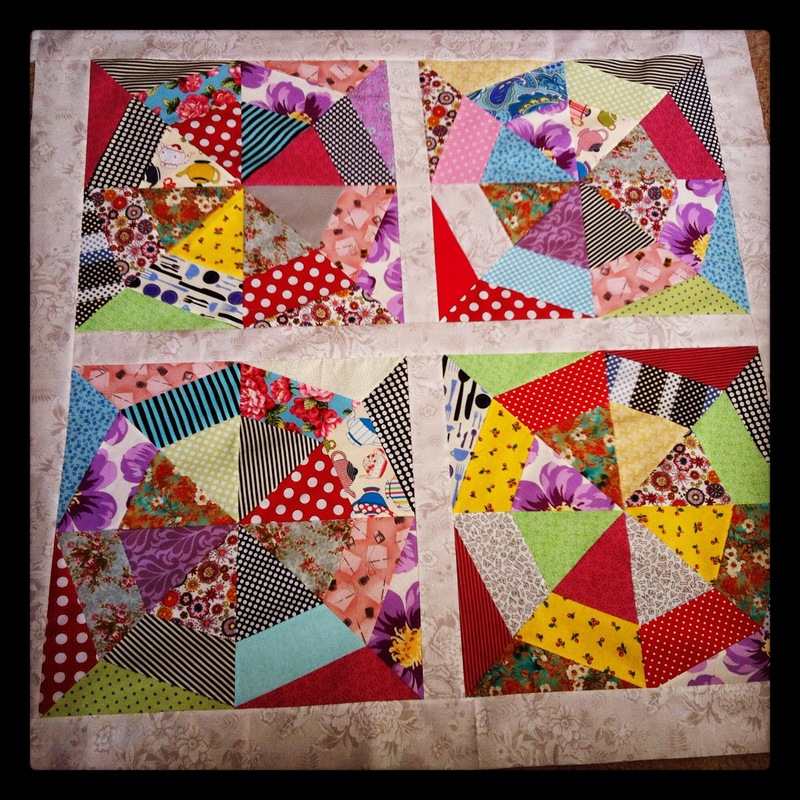 Previous PostFirst Prize goes to… Next PostThe Queen of Piecing!